Plans for another 65 new homes in Pagham have been given the go-ahead but only by the narrowest of margins. Developments of 400 homes south of Summer Lane and 280 units north of Sefter Road have been approved in recent months by Arun District Council. However plans for 300 dwellings north of Hook Lane were rejected by the council’s development control committee last Wednesday (January 23). Later in the meeting a vote on a separate application by Domusea for 65 homes at Church Barton Farm was tied seven to seven, with chairman Ricky Bower using his casting vote in favour of the development. A total of 233 letters of objection from residents were received against the plans. Paul White, representing the developer, described how the scheme was planned in conjunction with the development of 400 homes approved south of Summer Lane. Officers explained that the statutory bodies with responsibility for highways and ecology had not objected to the application. An exasperated Philippa Bower (Con, Rustington West) suggested as a council they would get into ‘terrible trouble’ if they kept trying to refuse everything as applications were going to take up land and generate extra traffic. Originally 89 new homes were planned on the parcel of land but this number has now been reduced to 65. 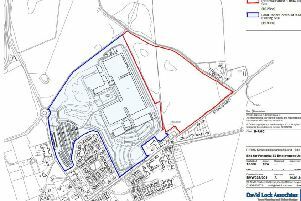 Councillors questioned if access from Pagham Road could be achieved through other neighbouring developments but a motion to defer the application was defeated by six votes to four. The application was then approved.